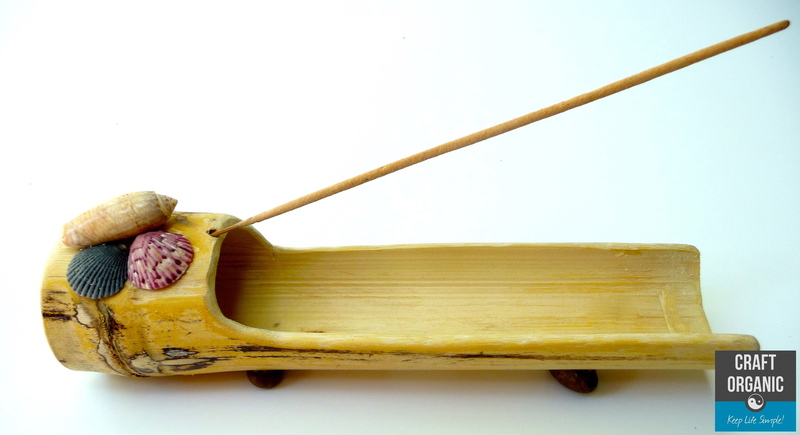 We love burning incense but we hate those crappy, narrow incense burners – any hint of air movement and the ashes end up anywhere else but on the burner! 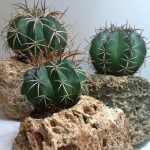 Try carrying one to the trash as all the ashes fly off then you have to clean all that up – as if I don’t have enough to do! A bamboo stem has nodes and internodes. You can see a ring that goes around the stem and those are nodes – they are solid. The space between the nodes are the internodes – they are hollow. 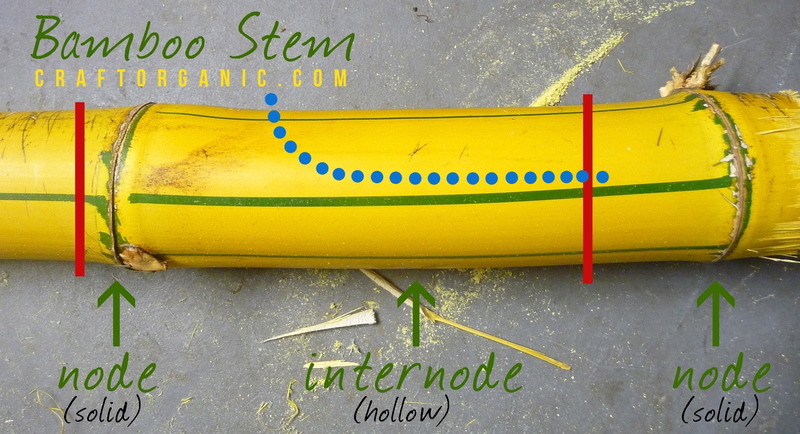 Cut the bamboo where you see red lines [See photo below] and you will get a node at one end and the entire internode. The blue dotted line is where you cut the side of the internode off to expose the hollow portion. We used a jig saw …it’s the only saw we have! After cutting we sanded it to smooth the edges and rough areas. 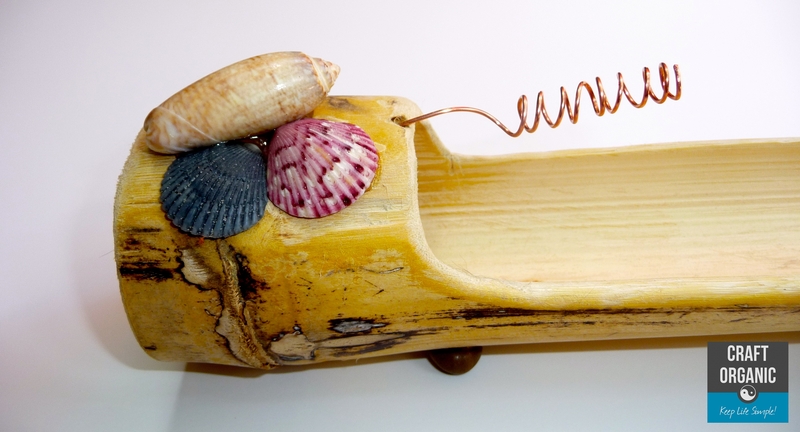 We made a mistake with the saw so we glued a couple seashells over it to hide it plus they go with the tropical island feel of the bamboo so it’s all good. Mistakes are going to happen so don’t freak out when they do, just hide them! To keep the bamboo from rolling, we glued (E6000) two small flat stones to the bottom for feet. Also drill a small hole to insert the stick incense. The reason we wanted one node in the design was for dumping ashes – when you pick it up and hold it on it’s end the ashes fall down to the node and are contained until you get to the trash. The arrow shows the direction the ashes fall. Neat right!? We prefer stick and Tibetan incense. 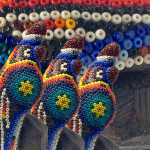 Tibetan incense usually has no stick in the center – it is ALL incense. 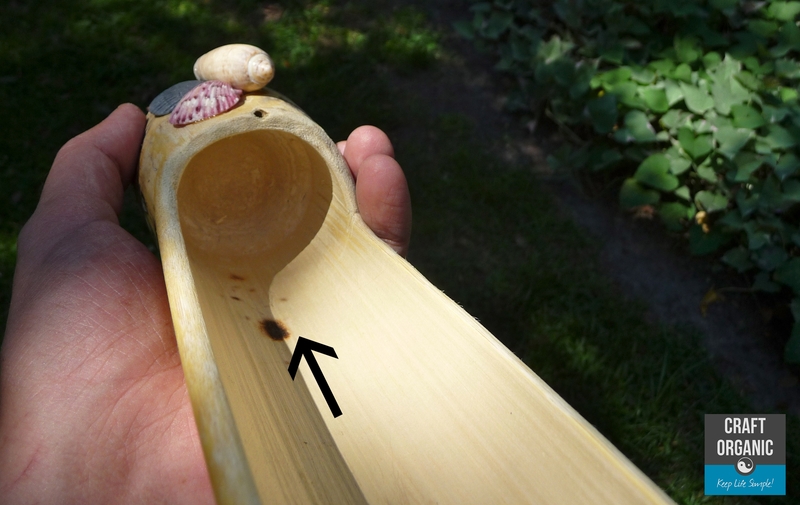 [See photo below] There was no way to put the small end into the hole for burning. We had to come up with a way to burn it so we created a little coil with some wire. To make the coil, use a small dowel or a pencil and wind the wire around until it’s a couple inches long. Leave a couple inches straight so you can insert it where the incense would normally go. Now you’re good to go. Photo Below: Coil inserted into hole. 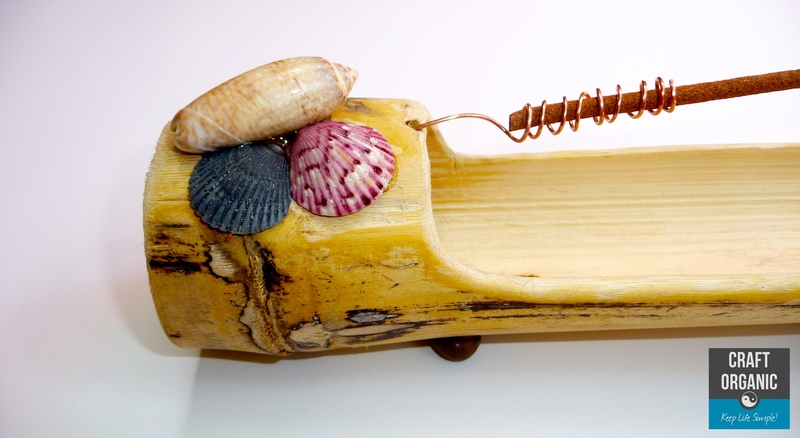 Photo Below: A functional, tropical-style, bamboo incense burner with the “normal” stick incense. Oh! 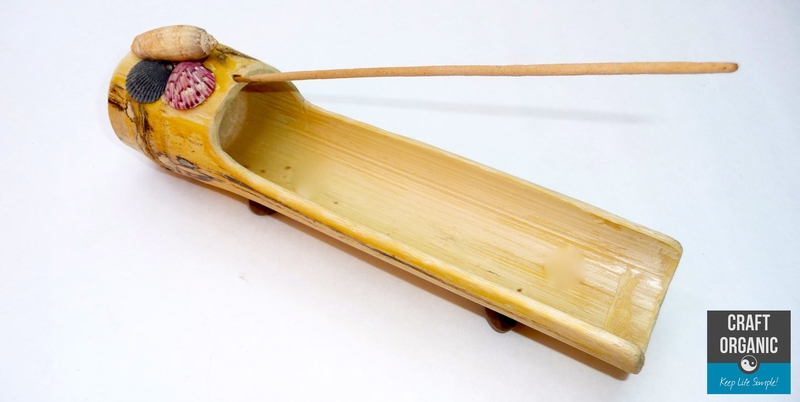 By the way, we don’t burn Cone Incense – the smell is somewhat different to us so we prefer stick. Awesome!! May i buy one with coil included please?!?!? We only made one of these and have never sold them. I’m not 100% sure where this one went. I think it’s in a box in my garage.